The SS Conveyor is suitable for a wide range of applications either for horizontal or vertical product transportation. 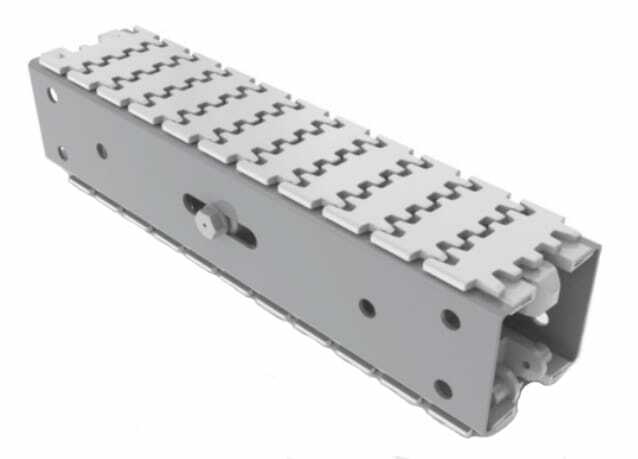 The SS multi-flexing conveyor systems uses a plastic chain that permits horizontal as well as vertical change of direction. In addition to the standard types, several special purpose chains are available. Take a look in the Tech Data located under Manuals & Literature for all options available. Please contact us or your local distributor for further assistance.